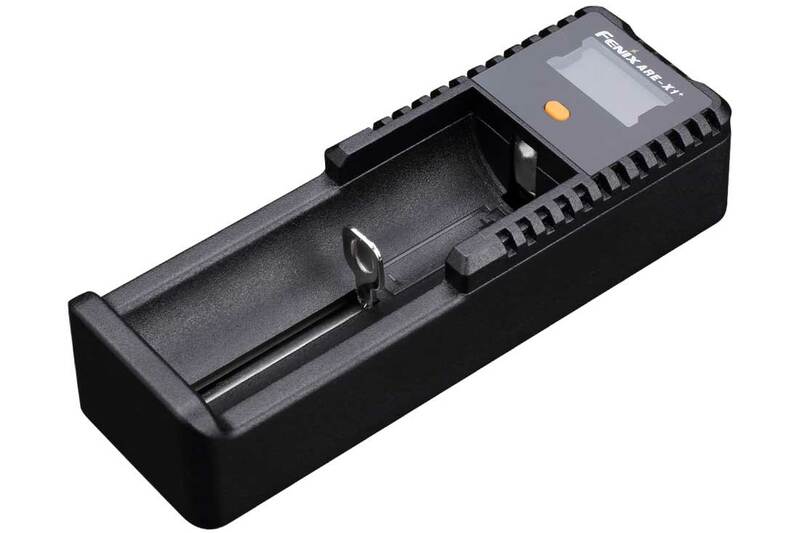 The Fenix PD35 TAC Rechargeable Bundle is designed to give customers a rechargeable kit that includes the ARE-X1+ single bay charger and ARB-L18-3500 rechargeable battery. Mode Switching: When the light is on, press and hold on the side switch for 3 seconds till the LED flashes twice at Low output, you will have then switched from current mode of use to the other option. Simply repeat this action to cycle through Tactical Mode → Outdoor Mode. Tactical Mode-Once light has been activated to this mode (see Mode Switching above): ON/OFF Fully press on the tail switch to turn on the light, fully press once again to turn it off. Output Selection Slightly (half) click the tail switch to turn the light on for momentary use, when released the light will go out, half click the tail switch again and again to allow the light to cycle through Turbo → Strobe → Low. It will always follow this cycle. When you have the mode you wish to remain on, simply apply a full press on the tail switch and the light will last on present output mode. In order to change from this mode to next mode, simply fully press the rear switch twice. Continue to repeat to cycle to next. Notice 1: Under this Tactical mode, Turbo output is defaulted when the light is turned on. This will always be the case in Tactical Mode. There is no memory function while in this mode. Outdoor Mode-Once light has been activated to this mode (see Mode Switching above): ON/OFF Fully press on the tail switch to turn on the light, press once again to turn it off Output Selection With the light on, single-click the side switch to cycle through Eco→Low→Mid→High→Turbo. The intelligent memory system will allow the flashlight to remember whatever output you have the light in when turned off and will make this the default mode when it is turned on again. Strobe Mode With the light on, press and hold the side switch for 1 second to enter Strobe mode, click the side switch again to turn back to general mode. A little light dynamo that fits in your pocket. Quality construction. Impressive performance. The charger is a must and is easy to use. Outstanding! This flashlight out performs any other that I have ever owned. Price is very reasonable, shipping was fast. No complaints. After having and using the PD35TAC for around a month, so far I have nothing but great things to say about it. For the past 10 years I’ve used my Surefire ED2, and the light from fenix is comparablen in every way except brightness.. This light is definitely brighter and the strobe is ridiculous. If you need a defense flashlight look no further. Great little flashlight! I purchased it for personal safety – walking in a dark parking lot, evening walks for exercise, etc. It has met all my expectations. Very bright. Wide flood with nice throw. Love the tail-switch mode selection. My edc. This flashlight is super bright, lasts a very long time, and is built with quality. One thing that I don’t like is that the tail switch gets pressed when I wear the flashlight clipped in my pocket. It gets pressed when I bend over. The only solution I know of is to give the beam end of the light a quarter twist to make sure the light doesn’t come on when the switch is pressed, but then you have to twist it back any time you want to use the light. Not a huge deal. If the light comes on in your pocket you will find out when it gets HOT! This is still the best light I’ve ever owned. This is an amazing flashlight. Bright and powerful. I am an armed security officer and school resource officer and carry this flashlight everyday. Perfect size, weight and power for the price. Will probably buy another just to keep in my car or IFAK. 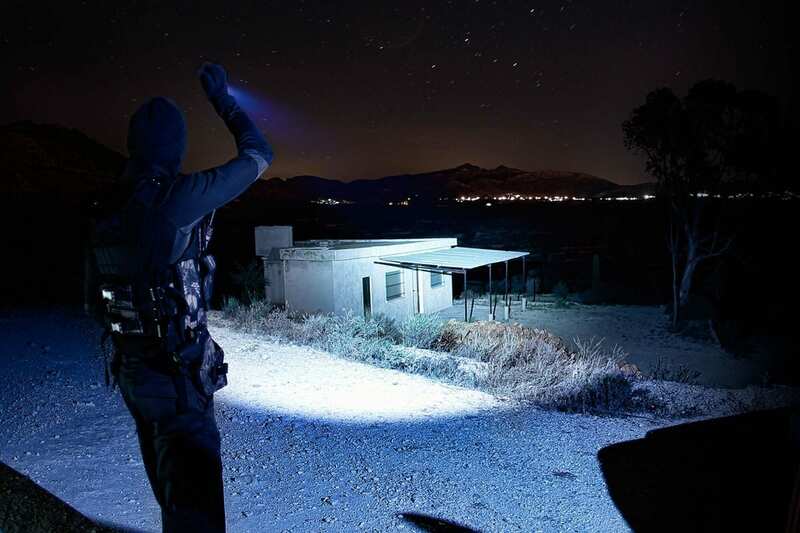 The PD35 is a killer flashlight. I have used this on multiple hunting and camping outings and it hasn’t let me down. It is made out of good quality and is very bright. It was also recently featured in a top ten tactical flashlight article. The PD35TAC IS EASY TO OPERATE AND MEETS MY NEEDS. IF FENIX MAKES A SMALLER LIGHT WITH SIMILAR SPECS – I WOULD BE INTERESTED ALSO. I own 2 of these. It’s the perfect size, it’s very bright and durable. I carry this flashlight daily. It’s the best light I’ve ever owned. It’s the best flashlight I’ve owned. Perfect in size and it’s super super bright. I carry this flashlight daily I love it so much. Great light ! Perfect size and very bright and reliable ! Can’t beat the price ! Have had this light for 8 months, no problems to report and I use it every day for work. Have also used it for spot lighting quite a bit. I prefer it quite a bit more than my tk15 for its size and power as an edc. My only gripe is the mode switch, it just isn’t tactile enough, I also find myself hitting it by accident quite a bit which is irritating hence the 4 stars. Battery life has been phenomenal, I usually charge when the highest output setting can no longer be used. I charge once every 45 days give or take. The PD35TAC Kit is a great deal, thank you. A 1000 lumen max output with other useful lumen outputs as well. 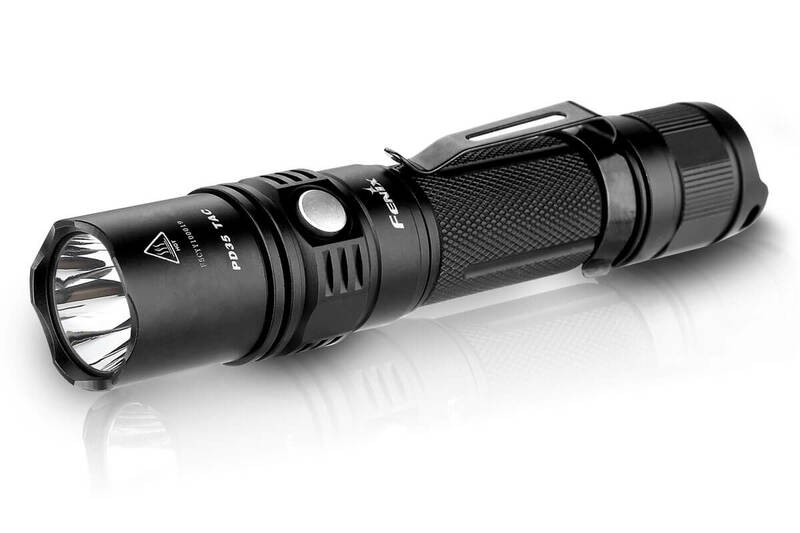 Outdoor and tactical modes make this flashlight very convenient to use. The 3500mAh high capacity battery lasts for a long time. The ARE-X1+ charger works very well and I like the LCD display. Thank you FENIX. Hi Jeffery, I am sorry to hear that it stopped working after a year. Please give Colt at call at 888-775-9996 extension 1. Hopefully he can help you with the warranty.